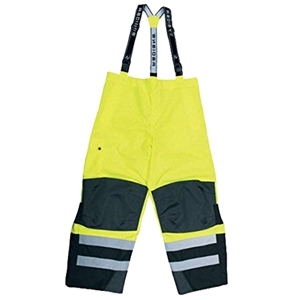 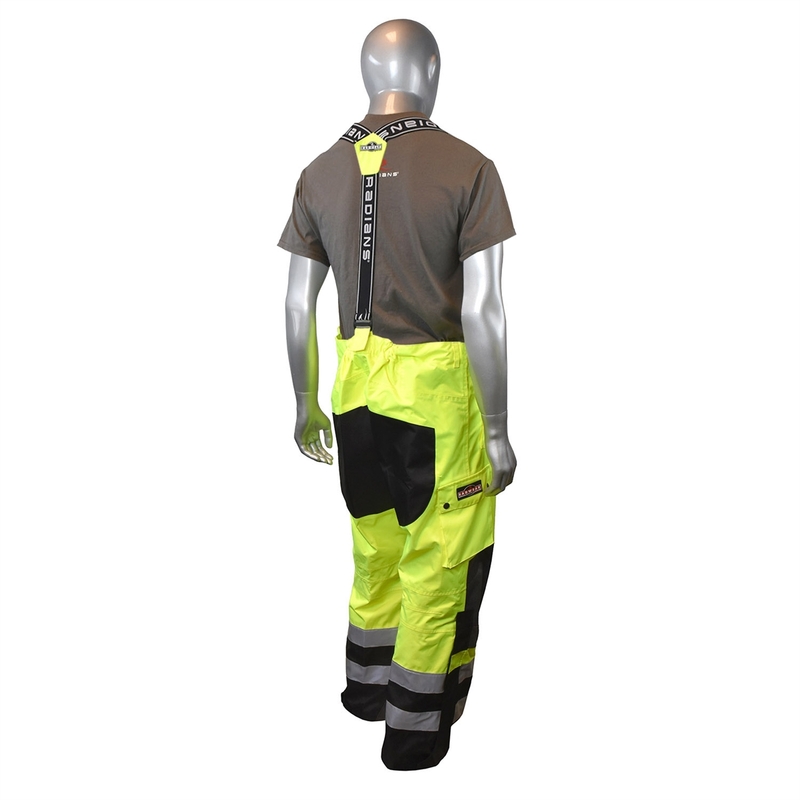 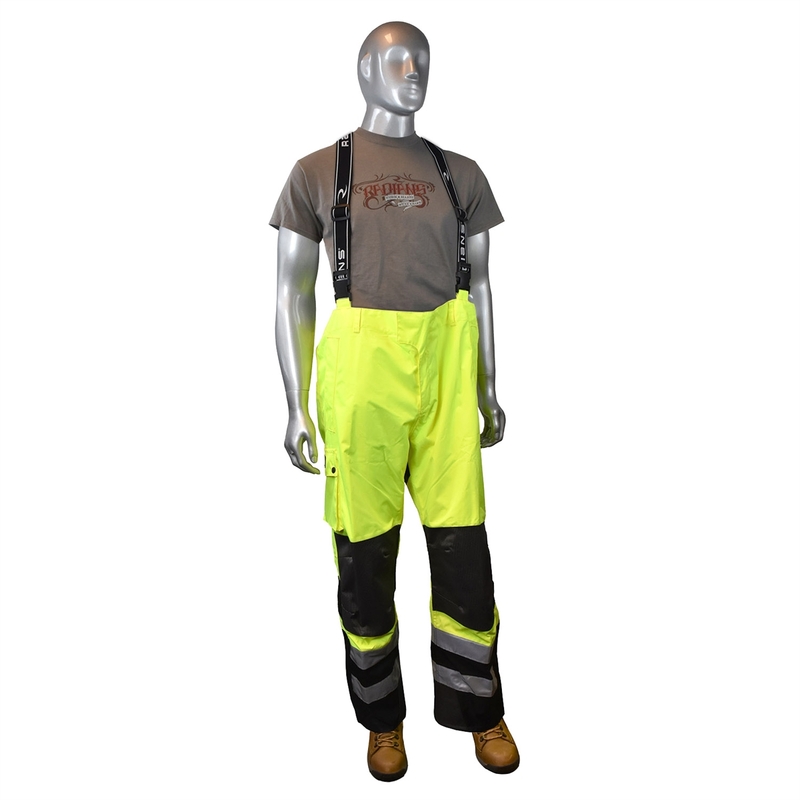 ®Radians RW32-EZ1Y is a Class E, heavy duty pant bib with Reflectivz® waterproof and high visibility technology. The 300D PU coated, high visibility rip stop oxford material provides extra durability. 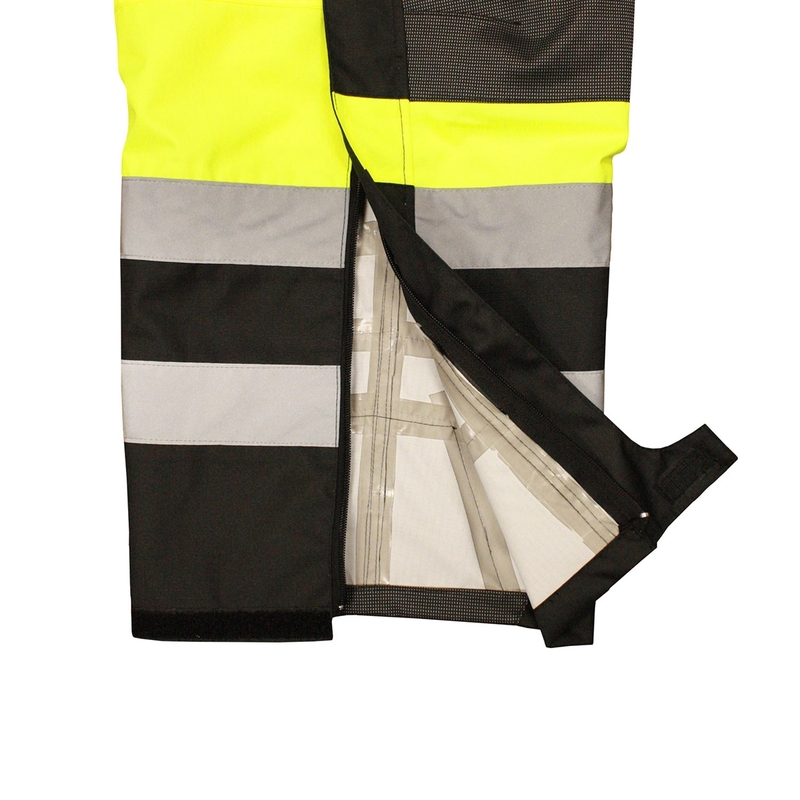 With the addition of 3M® silver reflective tape and reinforced knee areas, you can feel confident you will be protected in tough environments.